Over the next two months, I’ll be exploring digital publishing using a photo essay by Michelle and Deborah Howe titled “The Dartmouth Brut: Conservation, Authenticity, Dissemination.” The article was published in print in Digital Philology (3.2 [Fall 2014]: 178-195) and online in HTML. 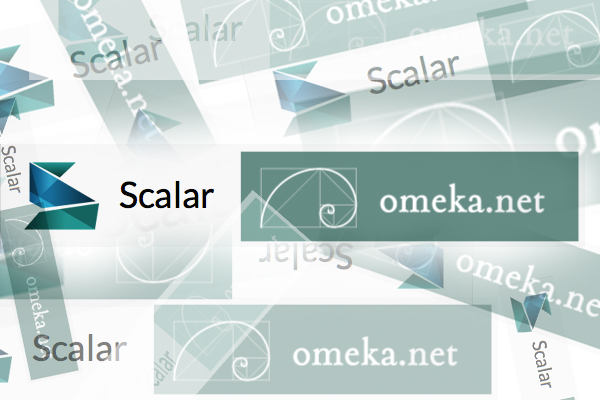 My project will be to (re)publish this essay using the digital publishing platforms of Omeka and Scalar, describing the challenges and opportunities each platform presents along the way. Like all parts of Remix, it’s more about the process than the product. We want to see if — and how — digital publishing lets us enrich the content and experience of our sample article. Omeka is a “web-publishing platform that allows anyone with an account to create or collaborate on a website to display collections and build digital exhibitions.” Many libraries and museums host and archive online exhibitions using Omeka. Because the photo essay is very visual, we believed that Omeka could be useful in privileging the images, unlike the HTML and print versions, which foreground the text. Scalar is, a “free, open source authoring and publishing platform that’s designed to make it easy for authors to write long-form, born-digital scholarship online,” that “take[s] advantage of the unique capabilities of digital writing, including nested, recursive, and non-linear formats.” When Michelle and I first discussed Scalar, we talked about how the photo essay could transition to a non-linear format. Michelle and Deborah spoke to and about the photos, rather than following a linear narrative. But the HTML and print versions support a linear reading. Perhaps Scalar would help with this epistemological issue. If this post makes this process seem like it was linear, that’s false! We decided we wanted to experiment with Omeka and Scalar, then realized that we needed to host our high-resolution digital images somewhere (enter Shared Shelf; blog post forthcoming), then entered the land of digital preservation issues briefly, and now have finally re-surfaced to focus on the original task at hand — experimenting with Omeka and Shared Shelf.